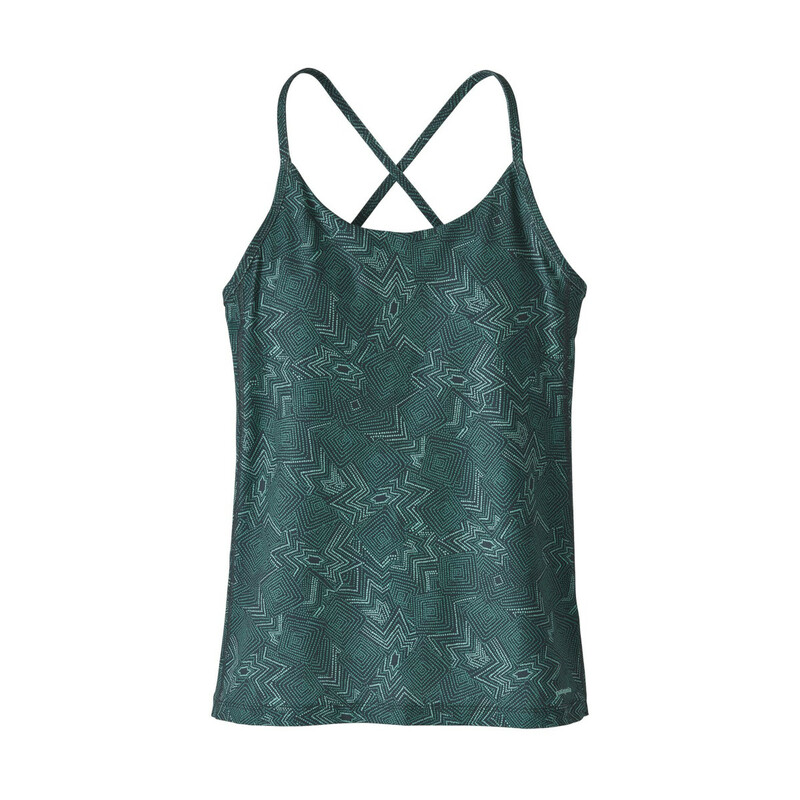 The Patagonia Cross Beta Tank is made from a mix of recycled polyester, spandex, and nylon. This blend of materials will wick moisture effectively, feel very stretchy and easy to move in, as well as having increased durability. The Polygiene® finish means the Cross Beta stays fresher for longer, and polyester mesh in the shelf bra with 100% polyester cups are highly breathable and soft for all-day comfortable wear.